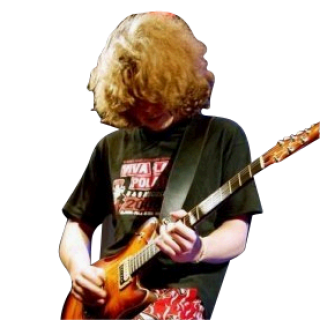 I started playing guitar because I loved metal bands and guitar players as a kid. I grew up listening to bands like Metallica, Pantera, Testament... and the guitar players of those bands (Hetfield, Dimebag, Scolnick...) were among my influences as a musician. I also play drums, bass guitar, and currently work and play full time as a guitarist and tone technician on various shows around the country and abroad. Other than metal music, I was under strong influence of Stevie Ray Vaughan and other great guitar players too.